This is a fantastic parable about a clam who wouldn't let go of a snipe, and the snipe refused to let go of the clam. The snipe says to the clam: If I don't let go today, and I don't let go tomorrow, you'll get de-hydrated and I'll be seeing a dead clam on the beach tomorrow. 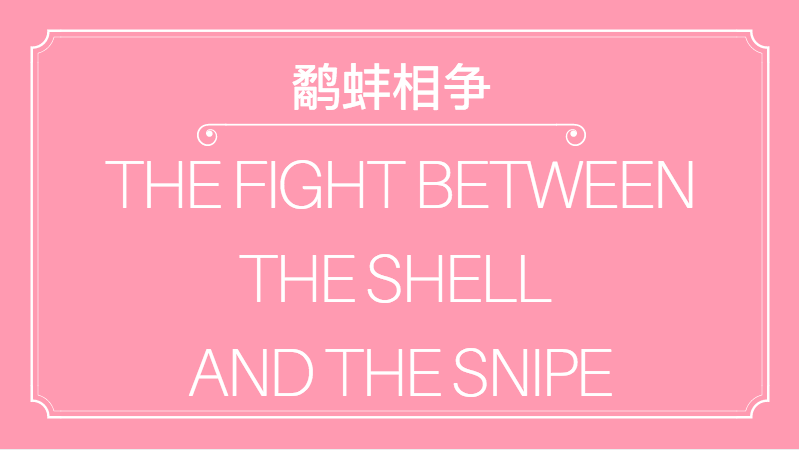 The clam says to the snipe: If I don't let go today, and I don't let go tomorrow. You'll simply starve, and I'll be seeing a dead snipe on the beach tomorrow. MORAL OF THE IDIOM: Learn to let go of the things before they consume you.